At the front of SB 600 there is a brushed aluminium effect fascia which splits into two sections and also features perforated mesh on either side, spanning from the top to the bottom of the case. While this does appear to be metallic, the fascia is plastic – but it can be detached for access to the front cooling fan placement and the pre-installed 140mm fan. 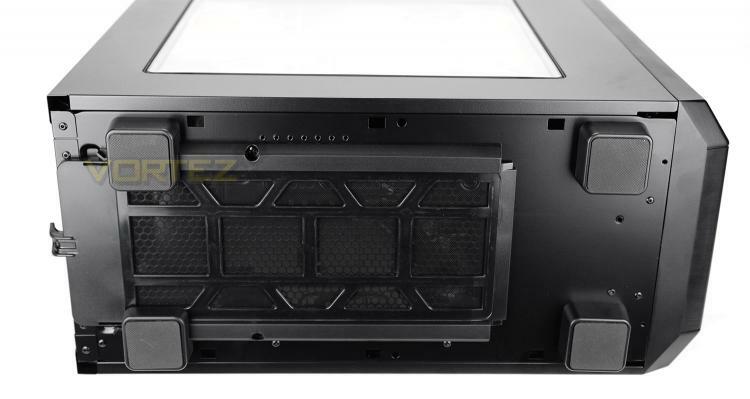 Around the back there is an opening at the bottom for mounting the PSU and above this there are a series of seven PCI expansion slot covers with some additional ventilation to the immediate right. Above this be quiet! 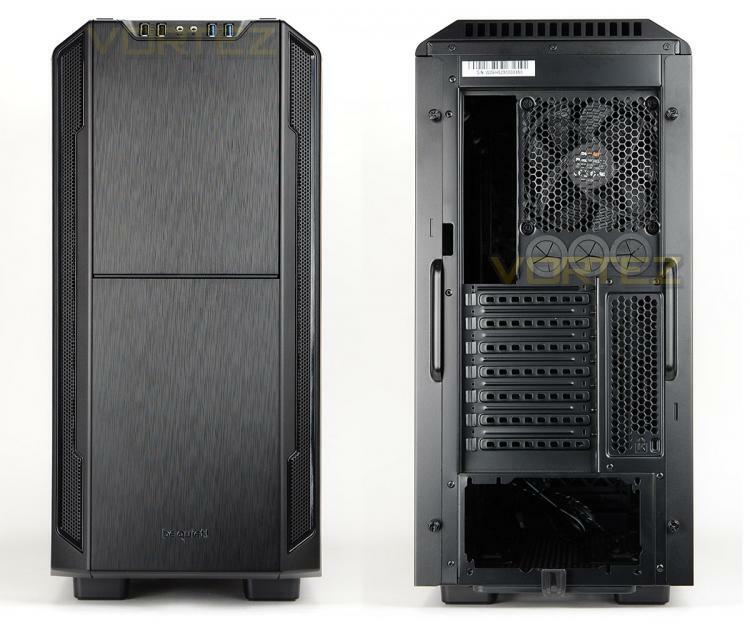 has included a 120mm rear exhaust cooling fan and three circular rubber grommets. 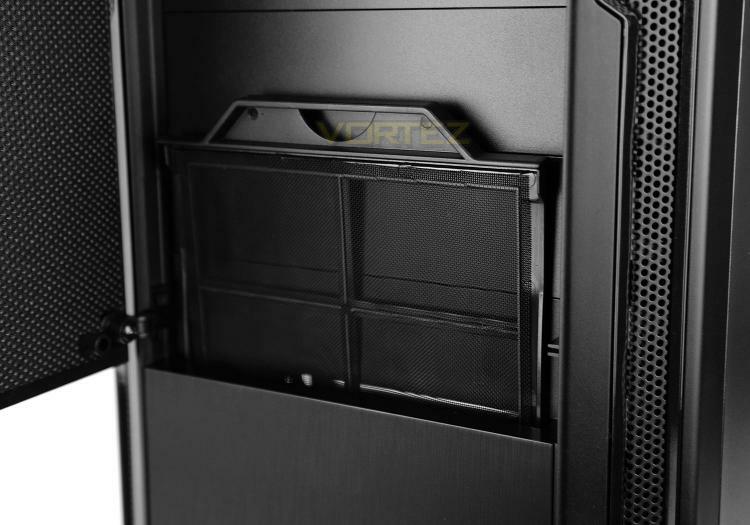 The upper section of the front panel features a door which is hinged on the left-side. On the inside of this door there are rubber pads for a soft close and insulation material to block out unwanted noise. After opening the door we also gain access to 4x 5.25” drive bay covers – at the top of these, there is a fan controller switch which has three modes to modify the RPM of the cooling fans. 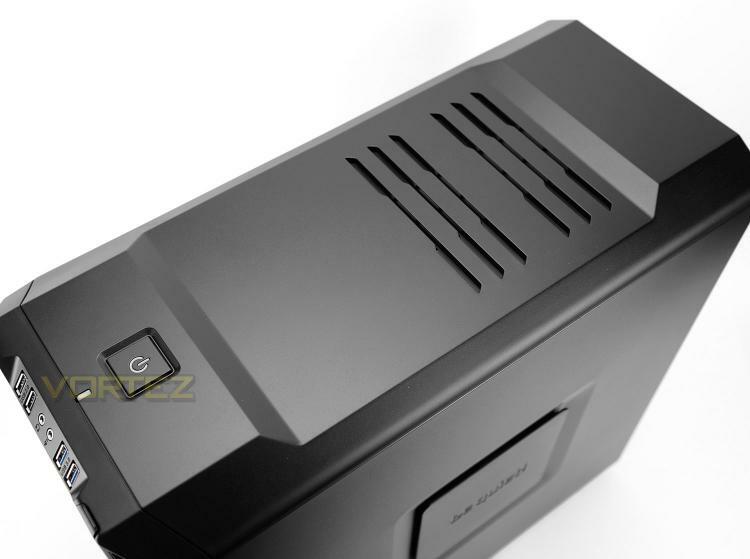 Since there is a 120mm cooling fan located at the front, in the lower section, be quiet! has included a detachable dust filter – this filter can be removed by simply pulling in an upwards motion. 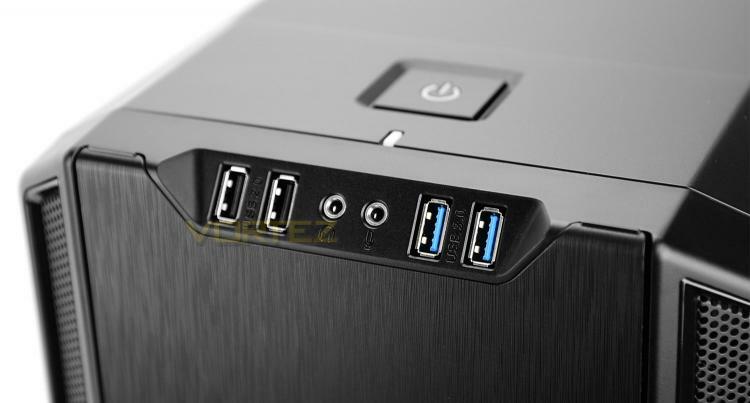 A large power button sits on the top-side of the case and has a corresponding LED. At the top of SB 600 there is a large plastic fascia and unlike other computer cases, lacks the perforated mesh. Instead, we have a smooth finish and some ventilation cut-outs for the airflow. The centre of this panel dips down – rising up at the front and rear. This panel can be detached (with difficulty!) to gain access to the mounting configuration underneath. 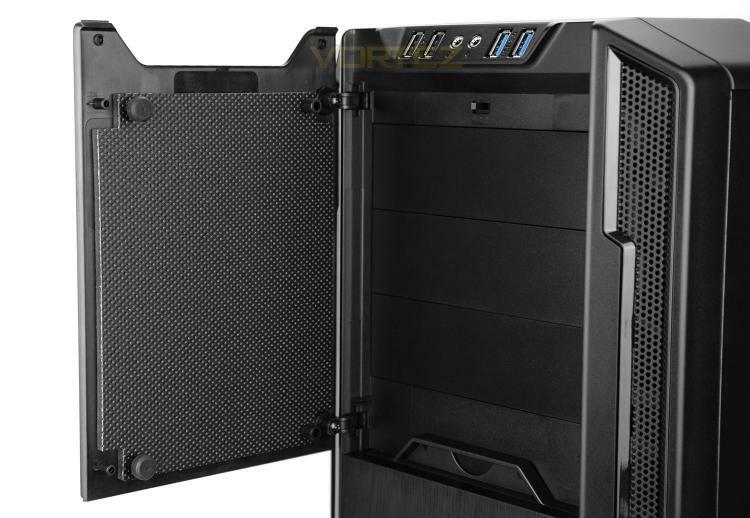 Flipping the case onto its side reveals four square-shaped rubber feet to prevent the case from slipping around on smooth surfaces and a large dust filter which is retractable from the rear of the case (without having to move it onto its side as pictured). Having looked at the external aspects of SB 600, on the next page we’ll take a look inside the case.